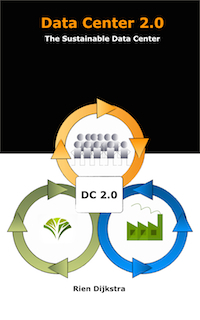 Data Center 2.0: The Sustainable Data Center is an in-depth look into the steps needed to transform modern-day data centers into sustainable entities. To get an impression of the book you can read the prologue right here. In large parts of the world, computers, Internet services, mobile communication, and cloud computing have become a part of our daily lives, professional and private. Information and communication technology has invaded our life and is recognized as a crucial enabler of economic and social activities across all sectors of our society. The opportunity of anytime, anywhere being connected to communicate and interact and to exchange data is changing the world. During the last two decades, a digital information infrastructure has been created whose functioning is critical to our society, governmental, and business processes and services, which depend on computers. Data centers, buildings to house computer servers along with network and storage systems, are a crucial part of this critical digital infrastructure. They are the physical manifestation of the digital economy and the virtual and digital information infrastructure, were data is processed, stored, and transmitted. A data center is a very peculiar and special place. It is the place were different worlds meet each other. It is a place where organizational (and individual) information needs and demands are translated in bits and bytes that are subsequently translated in electrons that are moved around the world. It is the place where the business, IT, and energy worlds come together. Jointly they form a jigsaw puzzle of stakeholders with different and sometimes conflicting interests and objectives that are hard to manage and to control. Electricity is the foundation of all digital information processing and digital services that are mostly provided from data centers. The quality and availability of the data center stands or falls with the quality and availability of the power supply to the data center. For data centers, the observation is made that the annualized costs of power-related infrastructure has, in some cases, grown to equal the annualized capital costs of the IT equipment itself. Data centers have reached the point that the electricity costs of a server over its lifetime will equal or pass the price of the hardware. Also, it is estimated that data centers are responsible for about 2% of the total world electricity consumption. It is therefore easy to understand why the topic of electricity usage of data centers is a subject of discussion. Electricity is still mostly generated with fossil fuel-based primary energy resources such as coal, gas, and oil. But this carbon-constrained power sector is under pressure. Resilience to a changing climate makes the decarburization of these energy sources mandatory to ensure sustainability. 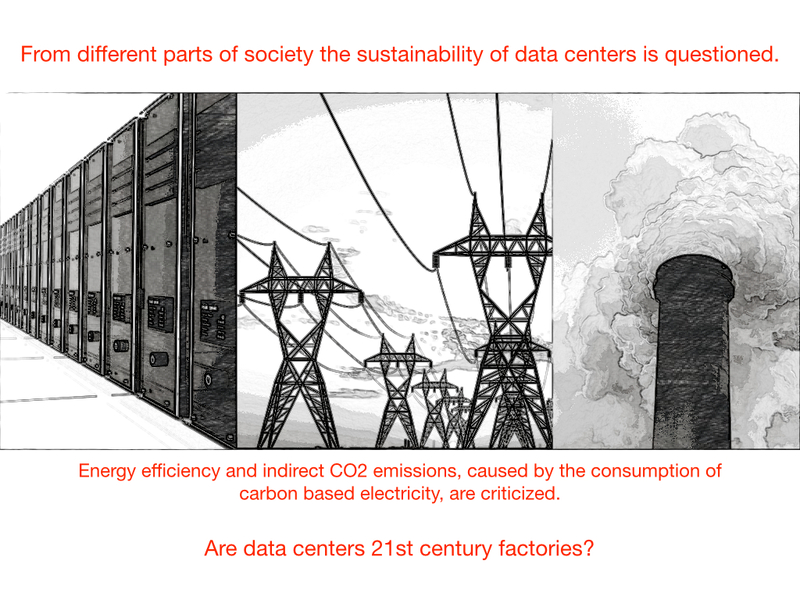 From different parts of society the sustainability of data centers is questioned. Energy efficiency and indirect CO2 emissions caused by the consumption of carbon-based electricity are criticized. The data center industry is working hard on these issues. 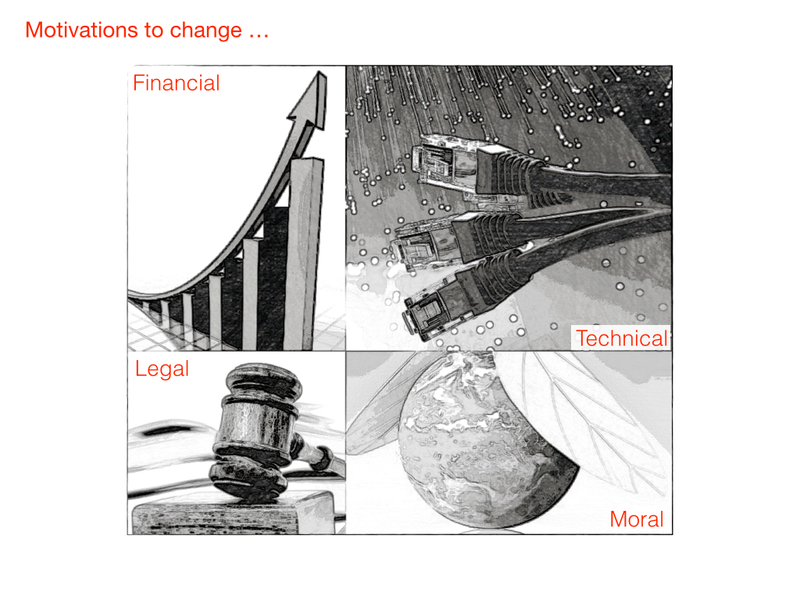 According to the common view, it comes down to implementing technical measures. The idea is that more efficient power usage of servers, storage and network components, improved utilization, and better power and cooling management in data centers will solve the problems. This idea can be questioned. Data centers are part of complex supply chains and have many stakeholders with differing perspectives, incomplete, contradictory, and changing requirements and complex interdependencies. In this situation there is no simple, clear definition of data center efficiency, and there is no simple right or optimal solution. Given the fact that we are living in a world with limited resources and the demand for digital infrastructure is growing exponentially, there will be limits that will be encountered. The limiting factor to future economic development is the availability and the functioning of natural capital. 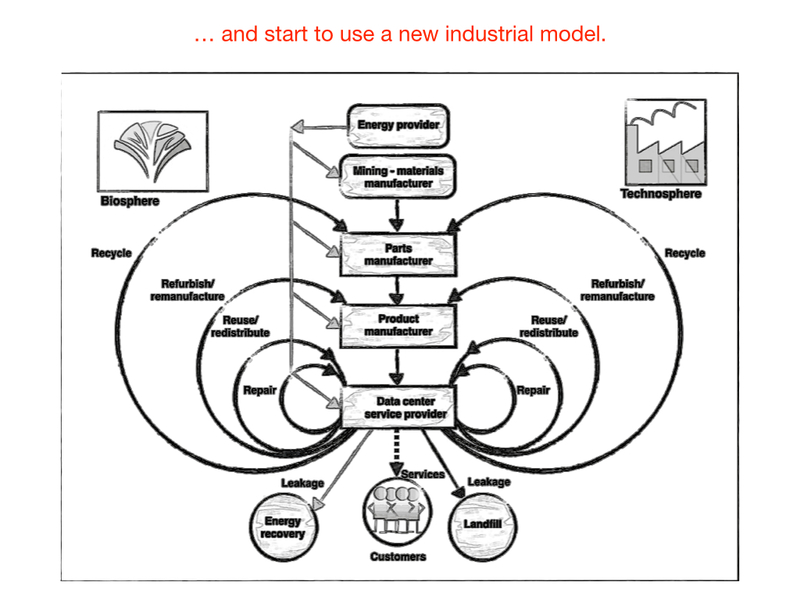 Therefore, we need a new and better industrial model. 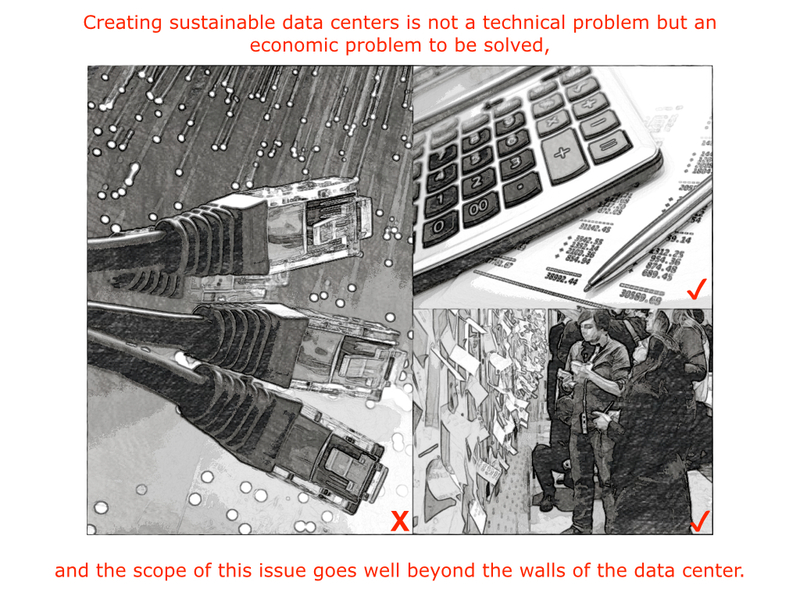 Creating sustainable data centers is not a technical problem but an economic problem to be solved. A sustainable data center should be environmentally viable, economically equitable, and socially bearable. 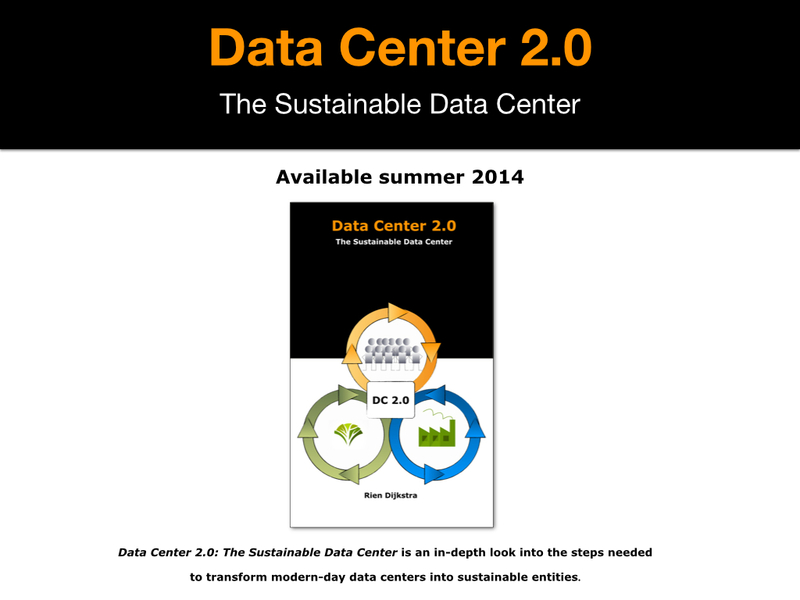 This book takes a conceptual approach to the subject of data centers and sustainability. 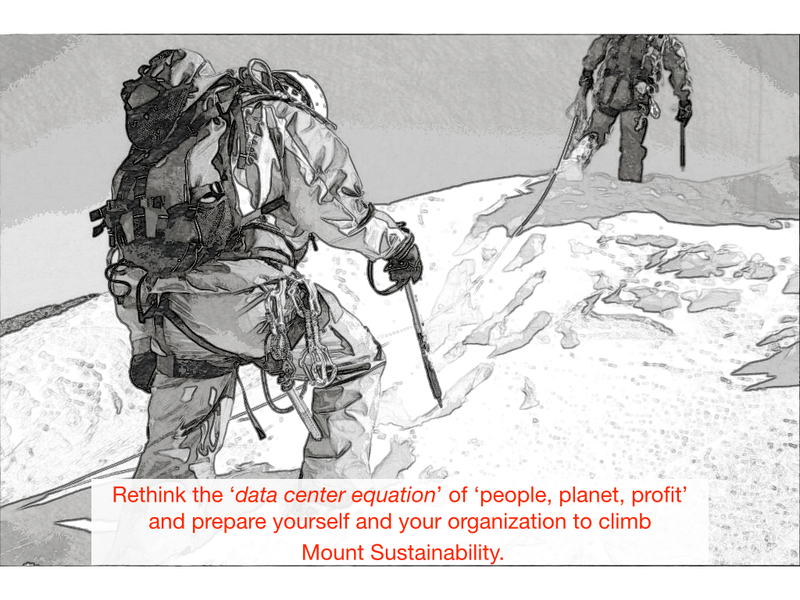 The proposition of the book is that we must fundamentally rethink the “data center equation” of “people, planet, profit” in order to become sustainable. The scope of this search goes beyond the walls of the data center itself. Given the great potential of information technology to transform today’s society into one characterized by sustainability what is the position of data centers? 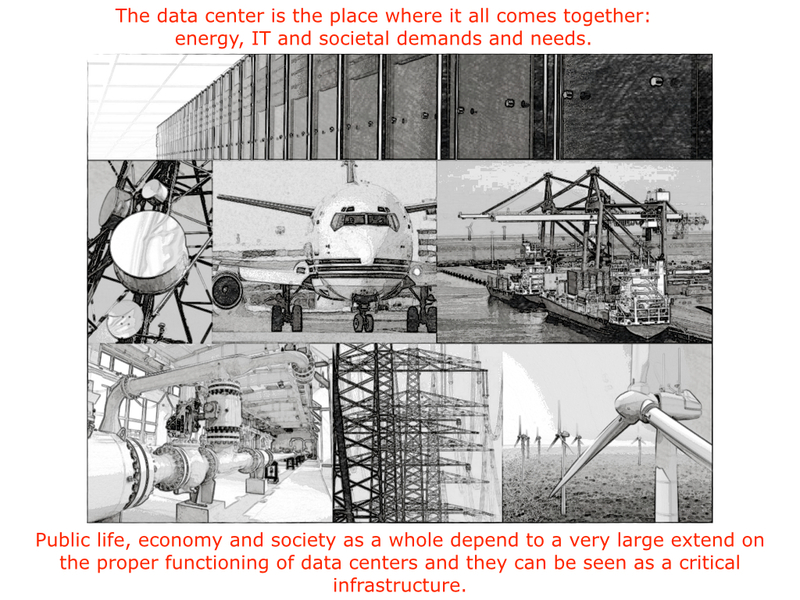 The data center is the place where it all comes together: energy, IT, and societal demands and needs. Sustainable data centers have a great potential to help society to optimize the use of resources and to eliminate or reduce wastes of capital, human labor and energy. 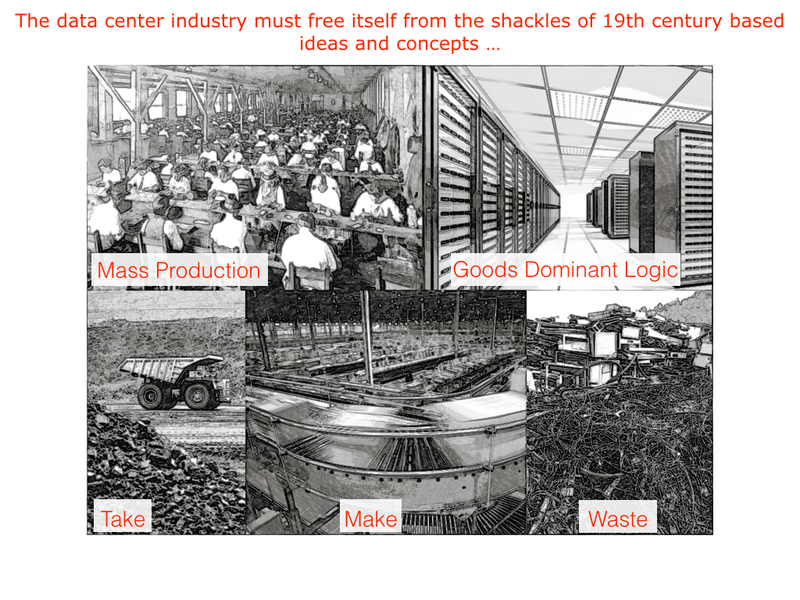 The idea is that a sustainable data center is based on economics, organization, people and technology. 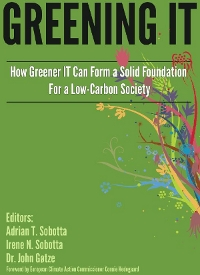 This book offers at least multiple views and aspects on sustainable data centers to allow readers to gain a better understanding and provoke thoughts on how to create sustainable data centers. Creating a sustainable data center calls for a multidisciplinary approach and for different views and perspectives in order to obtain a good understanding of what is at stake. The solution is, at the end of the day, a question of commitment. 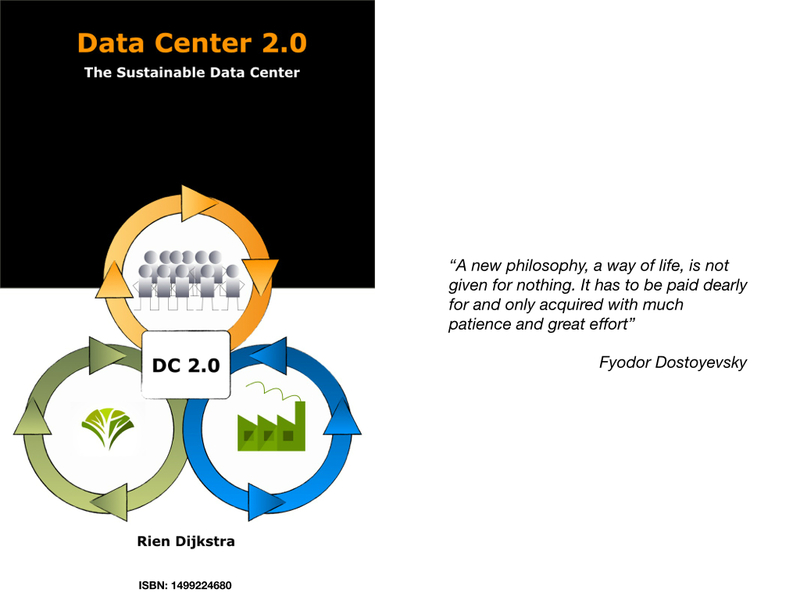 Data Center 2.0: The Sustainable Data Center is an in-depth look into the steps needed to transform modern-day data centers into sustainable entities. The book will be published at the beginning of the summer. To get an impression see the following slide deck. Australia and the EU agreed to link their carbon trading schemes by 2018. Businesses in Australia will be able to use EU allowances to cover up to 50 percent of Australian liabilities from July 2015. Full two-way trade will not commence until 2018. Australia’s carbon price, which began in July as a fixed 18.99 euro/ton tax, will move to an emissions trading scheme in 2015. Originally, the scheme was designed with a 12.39 euro/ton floor price, to take effect from 2015 but now Australia will scrap its planned carbon floor price when its emissions trading scheme starts in July 2015. Neighbouring New Zealand also has an emissions trading scheme, and talks about linking with New Zealand’s scheme are taking place. The EU is opening talks with South Korea, China and the state of California, where carbon markets are in various states of development, about possible forms of collaboration. Carbon based energy can lead to considerable extra costs for a data center in the European Union. Since 2005 the carbon price in the EU has moved between the 32.85 and 5.99 euro a ton. 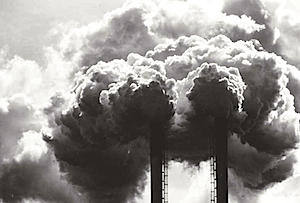 Currently there is much uncertainty about the future of the carbon price in the EU. To enforce the right actions to combat climate change the EU has chosen for ‘cap and trade’. With this market-based approach to control pollution there is a limit (cap) on the total amount of gases that can be emitted by companies in the system. Within this cap, companies receive emission allowances, which they can sell to or buy from one another as needed. The European Union Emission Trading Scheme (or EU ETS) is the largest multi-national, greenhouse gas emissions trading scheme in the world. In 2005, the European Union started the EU Emission Trading System (EU ETS) and now it covers nearly 50% of all European Union CO2 emissions. The lower limit for the EU ETS is set at 20MWthermal, but many data centers have their own back-up fossil fuel power supply. For the bigger data centers these direct CO2 emitters are large enough to be included in the EU ETS in their own right. Under the scheme, all installations regardless of whether they are used on a continuous basis or for standby are obliged to be registered and permitted. For the major part of carbon emissions associated with data centers comes from their direct electricity usage. Only the intermittent emissions from their own on-site, fossil fuelled generators are covered by the EU ETS. Since the start in 2005, the EU carbon market has experienced a large degree of volatility. One of the reasons is that “The EU ETS has a growing surplus of allowances built up over the last few years,” as said by Connie Hedegaard, EU commissioner for Climate Action. The recent economic downturn has added to that and pushed prices to record lows, raising questions about the effectiveness of the program. To remedy the problem at least temporarily, the European Commission put forward a proposal on July 25: to cut the number of permits auctioned between 2013 and 2015 and sell them later. An action known as backloading. There are no firm proposals in the plans on how many allowances should be withdrawn from sale, but the commission’s own analysis mentions 400 million, 900 million or 1.2 billion of them. It seems that there are still discussions ongoing; about the issue that changing the auctioning schedule could hurt companies, already under strain due to the economic crisis or the impact on countries with an carbon based energy production (such as Poland). The disagreement has meant that the commission will now only publish specific figures as well as long term structural changes to the ETS system after the summer recess. Data Center stakeholders should closely watch the current carbon price developments. 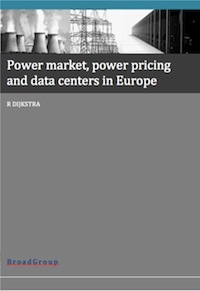 More information on data centers and carbon and power prices can be found in the report Power market, power prices and data centres in Europe. Getting some remarks that data centers fall outside the ETS scheme. “Many IT companies are simply choosing to attach their modern information factories to some of the dirtiest sources of electricity, supplied by some of the dirtiest utilities on the planet” says Greenpeace. The discussion on how accurate and valid the estimates in the report are is indeed important but the real problem which is addressed shouldn’t be missed and that is; if an energy efficient data center equals an green data center. In the data center world the last two years much attention is given to the usage of PUE as a KPI for energy efficiency. PUE has served its goal to get a rough indication of the energy efficiency of a data center but it has its limitations. For example if servers that were not being used are shut down this can lead to a bigger PUE. But the biggest flaw, from a green IT perspective, in using the PUE is that there is no relation to the Carbon emission based on the electricity that is being used. This CO2 emission flaw was already addressed in 2010 by Eirikur Hrafnsson CEO of Greenqloud (see blog Greenqloud propose green PUE ) and later by the Green Grid with a white paper on the Carbon Usage Effectiveness (CUE) metric. Energy efficiency and carbon emission are mixed-up. You can be very energy inefficient and still have zero carbon emission and vice versa you can be very energy-efficient and still have a large carbon emission. Therefore cloud providers and data center operators must look not only at how efficiently they are using electricity, but also the sources of electricity that they are choosing, a detail that many companies are unwilling to disclose on their own. The energy sources of the power grid isn’t the only energy issue. A lot of data centers are using diesel generators as back up or are using generators because of sub-standard or non-existent grid connection. The claim of green Cloud Computing services and green data centers can only be proven if the providers are more transparent about their energy sources. If operators neglect carbon emission, dont care because it are external costs, it is “out of scope” for their company or they feel they are not directly responsible, it will come back to them like a boomerang. Resilience to a changing climate demands for decarburization of the energy sources we are using to ensure sustainability. If carbon emission wont be reduced, the government will use rigorous policy instruments to charge for this external costs. Power purchase agreements for renewable energy; Many operators s are recognizing that their influence and market power give them the opportunity and responsibility to demand clean energy investments. Operators can take charge of their electricity supply chain by signing long-term contracts to buy renewable electricity from a specific source through a utility or renewable energy developer via a power purchase agreement (PPA) to help drive renewable electricity onto the grid. Location strategy for renewable energy; The current and projected supply of clean electricity varies significantly between nations and regions, and renewable energy growth is largely determined by the energy and investment policies in those places and how the utilities and electricity markets are structured. Given the scale and long-lived nature of data centers, in order to ensure that the supply of clean energy can keep pace with IT’s rapidly growing demand, companies need to make a corporate commitment to engage in energy policy decisions in regions where they establish operations. There has been a notable absence of CUE reporting under companies. An important issue that has to be solved is that a lot of companies don’t know their carbon emission because they don’t measure it. And if you can not measure it, you can not improve it. Proper measures can only be made if there is a clear understanding of the problem. Therefore operators must begin with monitoring and reporting the carbon intensity of their data centers under the ‘new’ Carbon Utilization Effectiveness (CUE) standard. This week the Australian parliament passed the Clean Energy bill, 2011 – the effect of which will be to introduce a carbon tax starting in July of 2012 as explained in the GreenMonk blog . The tax will start at 17 euro per tonne in 2012-2013 and will increase to 24.15 euro in 2013-2014 and 25.40 euro for the period 2014-2015. Using the results of a research done by the Australian Computer Society (ACS) in 2010 we can estimate the financial consequences of this tax on using information technology . The ACS report gives an almost complete picture of the carbon footprint of ICT in Australia in 2009. Part of the equipment is used in households but a lot the equipment is used by organizations. Looking at the money that is involved this carbon tax must give an incentive to green IT. Data center operators want to cut energy usage and energy costs. The Nordic countries, with their cool temperatures, cool water and an electricity generation that is nearly entirely from renewable sources are starting all kinds of initiatives to answer this needs. In an experimental phase we have the tidal power generation at the Orkney Islands, in Norway large projects have started to use old mines as data center locations. Now in Iceland a third data center project has started after Thor DC and greenqloud: Verne Global. To enable Verne Global to open for business by the end of this year, Colt will manufacture and ship a 500m2 Modular Data Centre (MDC)) from the UK to Iceland, where a total of 37 modules will be assembled and commissioned at the Verne Global Campus in Kevlafik, Iceland. Manufacturer and construction time for the first data center space should be less than four months. To follow the progress and build of the data center Colt made a interactive portal where a countdown already has started. Jeff Monroe at Verne Global stated that with the modular approach “… the opportunity to quickly scale capacity to address customer demand in a rapid timeframe.” Colt has customized its modular design to optimize Iceland’s climate to endure that free, fresh air cooling is available 365 days a year. Verne Global claims to reduce cooling costs by 80% or more. Also by using electricity which is 100% sourced from geothermal and hydroelectric power plants there is no carbon footprint. To give an idea about the impact to transfer 8MW of critical load power to a data centre here, you would save approximately 50,000 metric tons of CO2 annually. This is equivalent to a savings of hundreds of thousands of pounds annually if you were to purchase carbon offsets on carbon exchanges. The data center facility is on the site of the former Keflavik Naval Air Station. 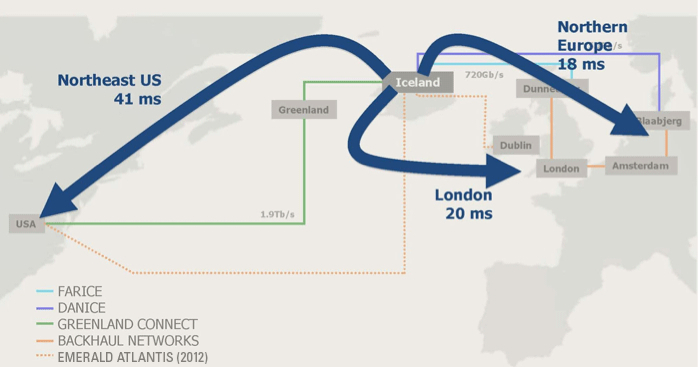 Connectivity to the site is provided by redundant, high-capacity, multi-terabit-per-second connections including FARICE-1, DANICE and GREENLAND CONNECT. The Icelanders put a lot of effort to build a data center industry in Iceland. It was only a year ago, the 21 of may to be precise, that the President of Iceland and Iceland’s Minister of Industry opened the first Icelandic data center, at Steinhella in Hafnarfjörður. 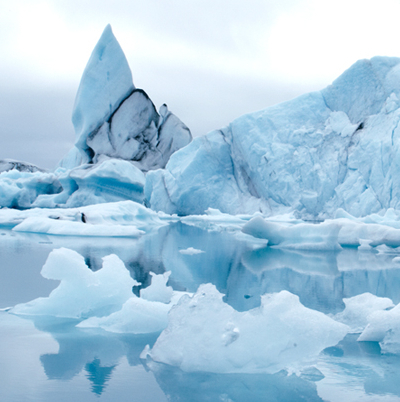 Some interesting background information can be found in the report “Iceland The Ultimate Location for Data Centers” made by PricewaterhouseCoopers for The Invest in Iceland Agency, that is run by the Trade Council of Iceland and the Ministry of Industry. Hopefully for them it will give a new boost to their North Atlantic economy. Something dearly needed after the financial crisis struck Iceland last year.